PlaylisTV is new usefull android app for watching live tv channels. App interface is portuguese and no english support at the moment but it is not necessary to use. You can add multiple IPTV channels and make lists of their favorite genres, and better, without relying on third parties. Still in the testing phase, soon more features! Download and Install Apps: PlaylisTV and XMTV Player. Once you download and install both apps, Open XMTV Player and accept the terms. 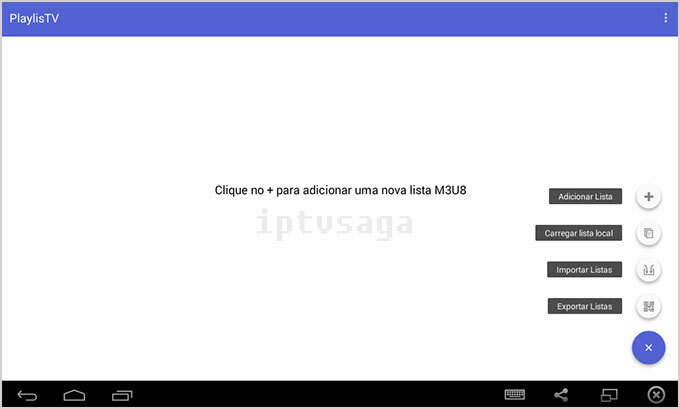 “http://j.mp/Listaiptvbrasil” you can also add as many lists as you want. Then click on the 3 dots or the button options on your device to open the Settings. Now go to “TV Player” and select the player XMTV Player . Ready now just choose the channel you want and watch.